William Wilson Kwabena Asamoah was born on Tuesday, June 2, 1953, at Suhum in the Eastern Region. He is the fourth of eleven children of the late Nana Anobi Aboagye II and Madam Mercy Darkoa. William started basic school education at Suhum Presby Primary School. He stayed with his grandfather at Suhum Amanase when his uncle with whom he was staying, left for Koforidua. He continued his education at Amanase Local Authority Middle School in 1968. He wrote and passed the then Common Entrance Examination and passed in 1968 and gained admission to Adonten Secondary School at Aburi. In 1971, he went to Asankragwa Secondary School (Asanko) and completed in 1974 obtaining the General Certificate of Education – Ordinary Level (G.C.E O’ Level). William Wilson enrolled at the St. John Bosco Teacher Training College in Navrongo in the Upper East Region in 1975. He came out with the 3-year Post Sec. Teachers’ Certificate in 1978. During the course of studies at Navrongo, he sat for the General Certificate of Education – Advanced Level (G.C.E. A-Level) examinations and passed in three subjects. It was at St. John Bosco’s that he came to know Christ through the Scripture Union (SU) thereby becoming their Prayer Secretary. After his post-secondary, William was posted to Nsutam Junior High School to teach. He taught for 3 years and resigned in 1981 to join the Koforidua Pentecost Preparatory School which had then been newly established by Apostle A. T. Nartey (now deceased)- the then Eastern Region-A Area Head. After one year of teaching, he gained admission to the then Advanced Teacher Training College (now University of Education, Winneba) and completed in 1985 with the Teachers’ Diploma in Art Education. He was posted to St. Peter’s Secondary School at Nkwatia-Kwahu, where he was promoted to the grade of Principal Superintendent of Education. He taught in this school from 1985 to 1992 during which he became the chaplain for the non-Catholics. William Wilson Asamoah became converted and joined The Church of Pentecost on 23rd September 1978. He received water baptism the same day through Pastor S. W. Anyan (now retired), who was then the District Pastor at Asawinso. He was baptized in the Holy Spirit in 1980. By dint of hard work and eagerness to do the Lord’s work, he was ordained an Elder of the church and became the Presiding Elder of Nsutam Local Assembly, (then under Begoro District. William Asamoah married Rebecca Afosaah Mensah on February 28, 1981, at Koforidua. Their marriage was blessed by Apostle A. T. Nartey (now deceased) and Prophet J. E. Ameyaw then a District Pastor. The union has produced five children; Emmanuel Asamoah Aboagye (District Pastor, Ashanti Asokore), Godfred Asamoah (Deacon), Mrs. Eunice D. Vondee (Deaconess), Salome Asamoah and Martina Asamoah Yeboah. William Wilson Asamoah was called into the full-time ministry of the Church at Nkawkaw-Kwahu in 1993. He was ordained as a Pastor in 1998. His ministerial service took him to Chinderi (1993-1995), Kasoa (1995-2001), Goaso (2001-2005), Akim Akroso (2005-2010), Aboso (2010-2014) and finally at Asawinso (2014-2018). Pastor Asamoah Wilson has had a very fruitful ministry which led many to the saving knowledge of Jesus Christ and helped advance the Kingdom business on earth. Surely, he was able to achieve this partly because he was blessed by God’s gift of Mama Rebecca Wilson, who was his perfect partner in ministry. 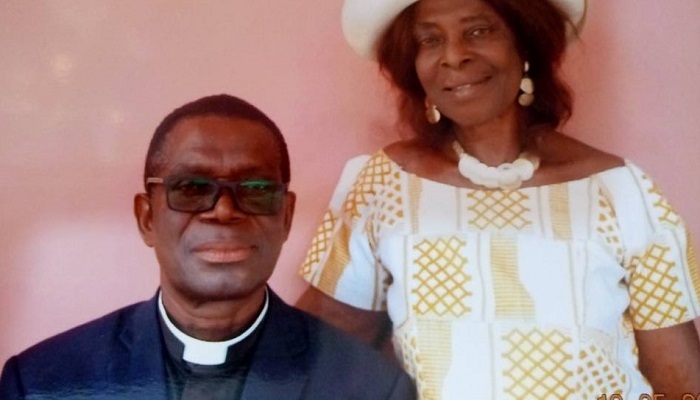 A retirement service would be held in honour of Pastor William Asamoah and Mrs. Rebecca Wilson on Sunday, July 29, 2018, at the Asawinso Central Assembly in the Sefwi Wiawso Area of The Church of Pentecost.